How am I supposed to answer that? I live and breathe scary stories, I can’t pick a favorite! My favorite scary short stories, that I can tell you. It’s a tie between “The Yellow Wallpaper” by Charlotte Perkins Gilman, and “I Have No Mouth, and I Must Scream” by Harlan Ellison. Now, that one totally messed me up. I have heard amazing things about The Yellow Wallpaper and I really need to read it. Like you, I love horror! Thanks for stopping by and following. I’m following you via bloglovin! I have heard of The Yellow Wallpaper but the second one is new to me. I love the title though, it reminds me of a Goosebump book, which I loved growing up. New Bloglovin follower. Ooh nice! I’m vaguely familiar with The Yellow Wallpaper. Read it sooo long ago though so I can’t quite remember it all. The second is a totally new to me one! 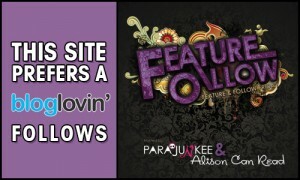 1) Loving your banner – its super cool! 2) i’m showing my ignorance I’ve never heard of “The Yellow Wallpaper” I’ve just had to do a goodreads search. Got to say though it looks like an interest read. Ohh thanks for the books rec’s I haven’t read any scary books lately but I will most definitely check out these book they all really sound great. Thank you so much for stopping by and following my blog. Old Follower.